Check here for latest stock highlights. The Sporting Study, with its base in Hungerford's renowned Antiques Arcade, specializes in vintage black silk top hats, original sporting-themed Vanity Fair and sporting prints and related memorabilia. We stock a range of sizes of antique and vintage black silk top hats for sale from well known makers such as Christy's, Lincoln Bennett & Co, Tress & Co, Herbert Johnson, Scott & Co, and Dunn & Co starting from £250. All our black silk toppers are in good condition and all would serve you well, whether it be at Epsom on Derby Day, Royal Ascot, a wedding, Royal Investiture or Buckingham Palace garden party. We have a constantly changing range of original sporting-themed & Vanity Fair prints in stock. 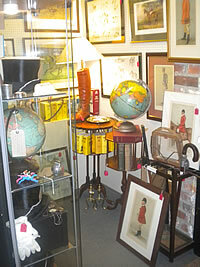 We only sell original, vintage antique prints, not copies. We also carry a range of other sporting prints by artists such as Snaffles, F A Stewart and Lionel Edwards as well as associated sporting memorabilia and sports collectables. Feel free to pop in for a fitting or to view our current stock in Hungerford, as the Hungerford Antiques Arcde is open 7 days a week and closes only for Christmas Day, Boxing Day and Easter Sunday.